Slatwall has been around for awhile for good reason. 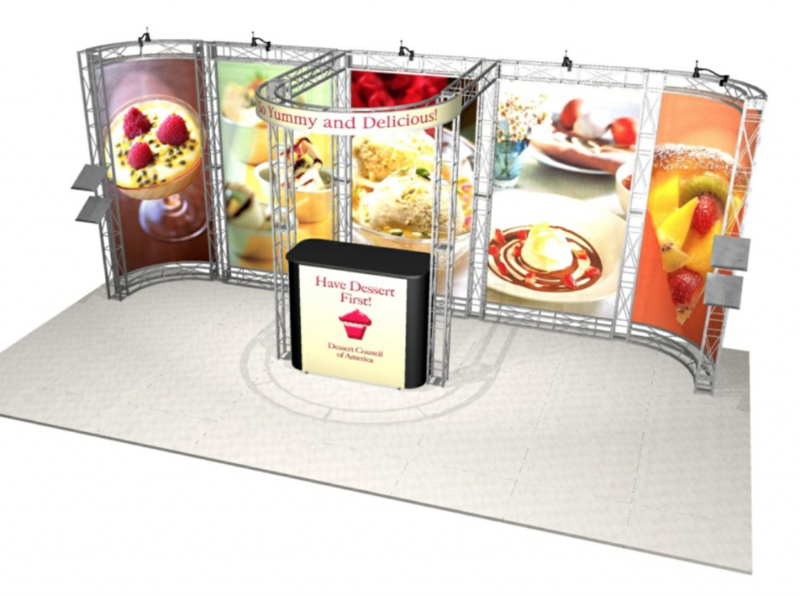 It provides an excellent way to display everything from literature to Gift Show products. This design includes the graphic bridge header and counter graphic (the counter has locking storage). 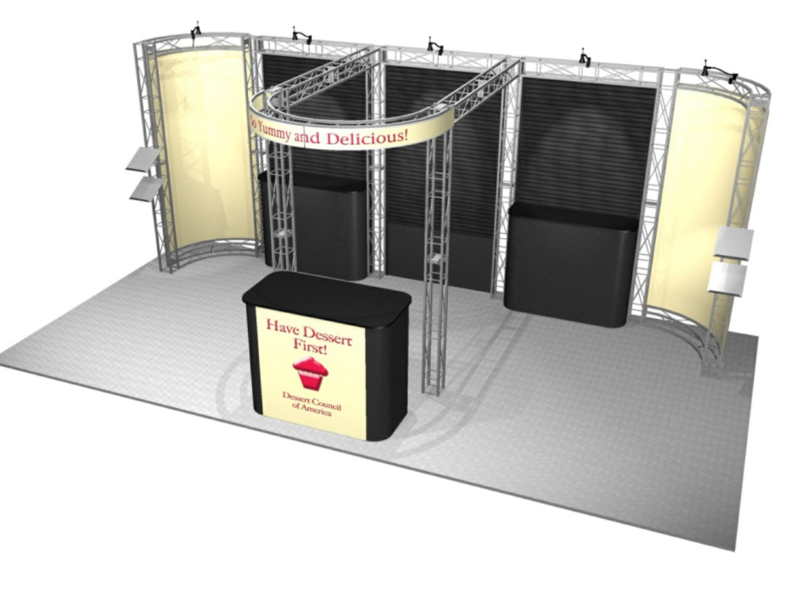 If you can use the same header & counter graphic for your next show, we’ll store them free of charge and your total rental cost will be only $4,920.00. 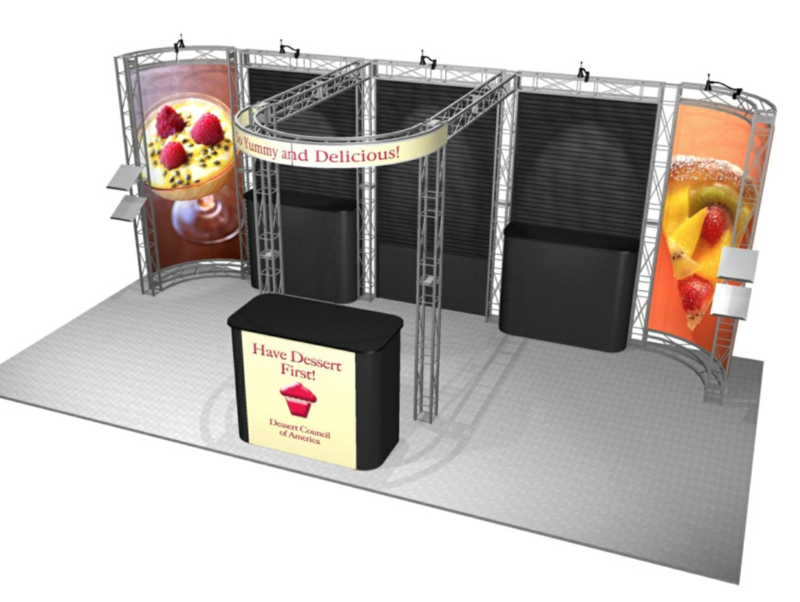 Add a little branding to your product in the form of (2) Full length graphic panels and you have a very effective display. We’ll make the investment worthwhile by storing your graphics for free! Then you only pay the base price of $4,92000 for your next show. Bridge Header for your company I.D.